Call center QA is the management, monitoring, and measurement of quality assurance in a contact center. Exactly what comprises call center QA is going to vary from organization to organization. Some of the factors that influence how a contact center defines quality assurance include size, industry, type of call center, and strategic importance of the call center. For some companies, such as those in the health care industry, it is a necessity that contact center interactions be carefully monitored and controlled. It is essential that management have visibility and documentation of calls and call data. For other businesses, call center QA is more informal and less sophisticated. It may consist of a few team members who are dedicated quality staff and record or review random interactions. Whatever your organization’s size or needs, call center monitoring software is a smart solution to managing QA. These systems can be tailored to specifically target the metrics that are important to your organization. What should call center QA measure? This is just a small sampling of the metrics that can be measured with call center QA. If your company is implementing call center monitoring, you will want to work with your management team and service provider to identify and develop the most important metrics for your needs. Call center QA is critical to the efficient and optimal operations of a contact center. In order to make sure that your contact center is tracking and managing the most important quality metrics, you will want to work with an experienced call center monitoring partner. To find out more about a customized call center monitoring software solution, contact the experts at Evaluate Quality. Whether you are in the Phoenix or Scottsdale AZ area or anywhere in the United States, the experienced team at Evaluate Quality can help implement a unique software service customized for your company’s needs. 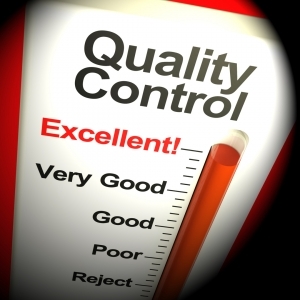 Evaluate Quality is headquartered in the Scottsdale/Phoenix area and has helped many organizations throughout the United States better optimize their call center quality management. With Evaluate Quality, you can ensure that your call center is managing all the right metrics. Contact Evaluate Quality, founded by Sage Advantage, now for a no obligation demonstration of their call center reporting programs.